Join hosts Robert Forto and Alex Stein as we welcome Colleen Robertia to Mushing Radio. Thanks! Thanks for sharing the Facebook page as well! 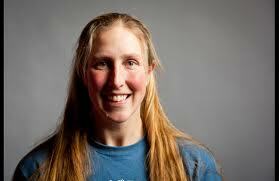 Colleen Robertia is one of my favorite mushers because of her obvious love of her dogs & how she rescues & trains them. Her enthusiasm for her dogs came through. Loved your point that the mushers in the first spots would always be interesting, but there are great mushers, dogs and stories from those that are not as competitive. I just think it is fantastic to take dogs that others have abandoned & turn them into an Iditarod finishers. I think Joe Redington would approve. Just finished the book about him. There is nothing like being an Iditarod Champion, but there are some great human beings that will never win it, but make the race so fascinating for the fans. Thanks for your comments Ann.. I am glad you enjoyed it. Enjoy podcasts every week here in Minneapolis…thanks for 2 this week with Colleen and Martin.